Highlights of the fifth part of the ‘Our Mutual Friend Tweets’ project can now be found on Storify! Click here to catch up on the latest developments. This guest post was contributed by Lydia Craig, MA student at Loyola University, Chicago. A comedic playwright himself, Jonson describes the true intent behind his amusing spectacles: to improve his countrymen’s morals through deploring the morally corrupt age. He advises his audience to sit by the stream where flows the filth of London’s sewers to ‘look what it doth run’ if they wish to behold the evidence of its people’s guilt. Jonson sets his play in a Blackfriars house, near where the Fleet River emptied into the Thames, ‘an unsanitary ditch along which no reputable people would live’ (Furdell 63). From the safety of Master Lovewit’s abandoned house, as plague infects London, a quack alchemist (Subtle) and a whore (Doll) join in a ‘venture tripartite’ with Lovewit’s faithless butler (Jeremy Face), to cozen ‘respectable’ citizens. Puritans, Sir Epicure Mammon, and the country gentleman Kastril trade money, fortune, and women for the promise of the philosopher’s stone, which magically turns any substance into gold, restores youth, and destroys disease. 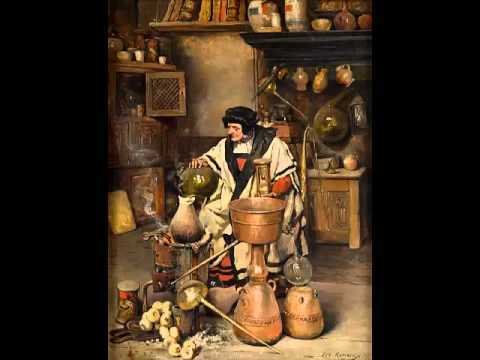 An Alchemist plying his trade in someone’s kitchen. This guest post was contributed by Gavin Edwards, Emeritus Professor of English at the University of South Wales and author of the forthcoming Charles Dickens and the Case of the Initial Letter. Stephen Fry’s Radio 4 programme on language, Fry’s English Delight – particularly the two most recent ones, on capital letters and on reading aloud – have made a nice accompaniment to reading the early instalments of Our Mutual Friend. Dickens has repeatedly been using the initial capital as a precision instrument: think of ‘Shares’, or of Mr Podsnap explaining to the foreign gentleman that the British Constitution was ‘Bestowed Upon Us By Providence’. As for reading aloud, Silas Wegg is now completing his negotiations with Mr Boffin, and Mrs Boffin is meeting young Sloppy who, according to Betty Higdon, ‘is a beautiful reader of a newspaper. He do the Police in different voices’, which is evidently more than Wegg does for the Romans. This guest post was contributed by Professor Linda K. Hughes, Addie Levy Professor of Literature, Texas Christian University, Fort Worth, Texas.